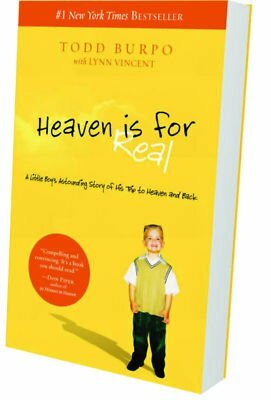 Heaven Is for Real , the story of four-year-old Colton Burpo, who allegedly traveled to Heaven and back, has mesmerized professing Christians since its publication in 2010. In two years it has sold 8 million copies and been translated into 30 different languages. Those who could not find satisfaction in what God’s Word shares about the life to come flocked to the young boy’s story in spite of the fact that Burpo’s claims about Heaven flatly contradicted the biblical text. The popularity of the book was an overt demonstration of how many Christians today allow experience to trump objective, biblical truth. Like every good story, whether fiction or nonfiction, Heaven Is for Real now is slated to be made into a movie. The Christian Retailing website notes that not only is Greg Kinnear in negotiations to play the role of Colton Burpo’s father, Todd, but that the film will be co-produced by Joe Roth ( Oz the Great and Powerful ) and famed prosperity preacher T.D. Jakes. « Does Jesus Care Whether I Attend Church?